Spotted: This pink rose wedding bouquet is the latest in the keepsake bouquet collection from The Sunny Bee! It features hand shaped and custom dyed tiny sola roses in delicate pink hues, tiny sola mums in mixed dusty rose and pastel mocha plum, handmade lace rosettes made with three different types of lace in cream, ivory, and taupe grey, ivory burlap and handmade cotton fabric rosette flowers in ballet pink, soft sage green, and ivory, finishing touches of green velvet millinery leaves, scattered cream pearls, bleached baby’s breath, and hand placed wispy green caspia. It looks absolutely gorgeous! 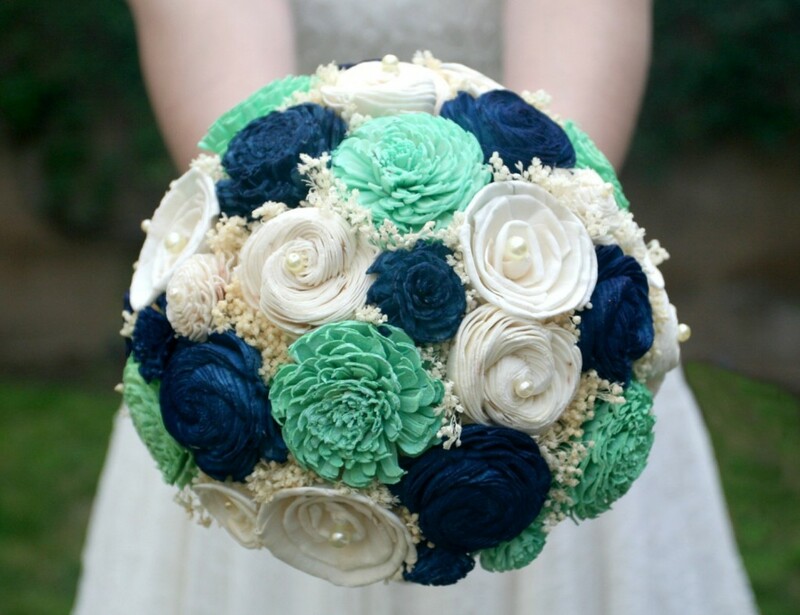 Spotted: this green and navy blue sola bouquet is a dream come true for the handmade bride! You can keep these blooms forever. By The Sunny Bee. 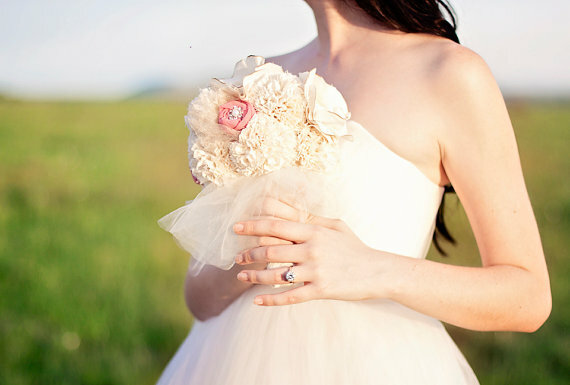 Spotted: a gorgeous cream handmade wedding bouquet made with sola flowers. 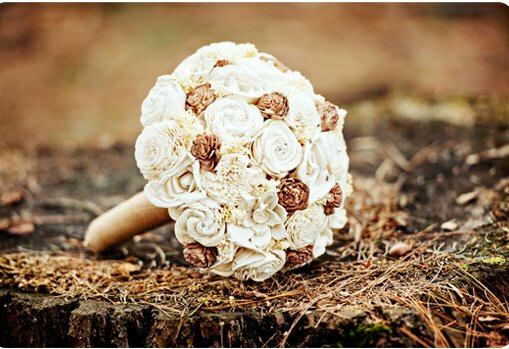 This bouquet measures 27″ around and its handle is wrapped in burlap. Perfect for rustic weddings! By Curious Crafts. 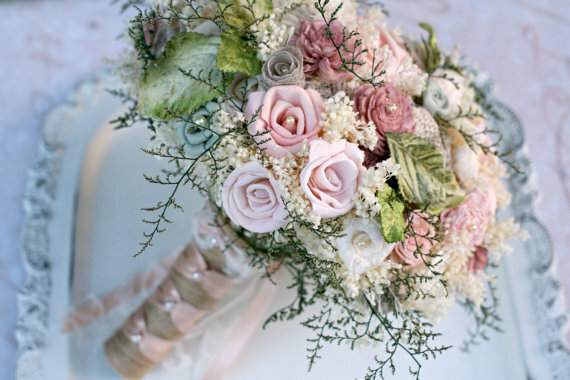 Spotted: A gorgeous ivory vintage-inspired wedding bouquet in ivory (with a pop of pink!) And, as with all handmade wedding bouquets, it lasts forever. No wilting here! 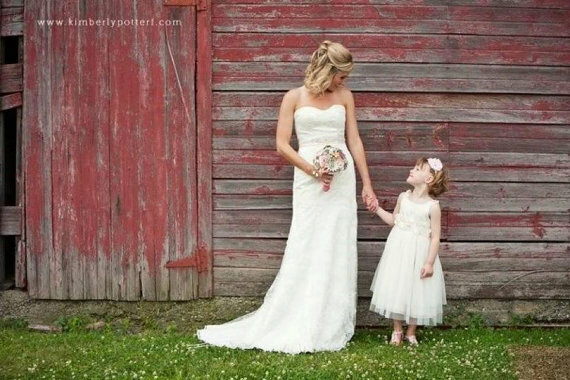 By lovely Featured Artisan, Autumn and Grace Bridal. 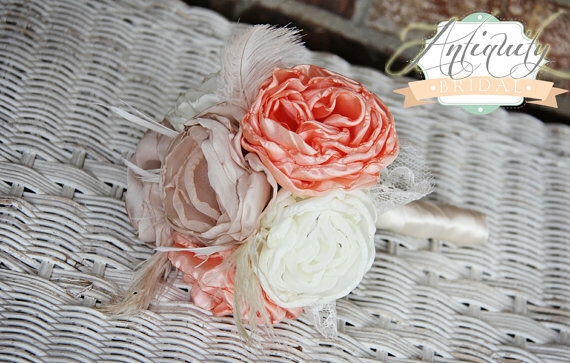 Recently Added: This handmade fabric wedding bouquet will last forever and is made to order! 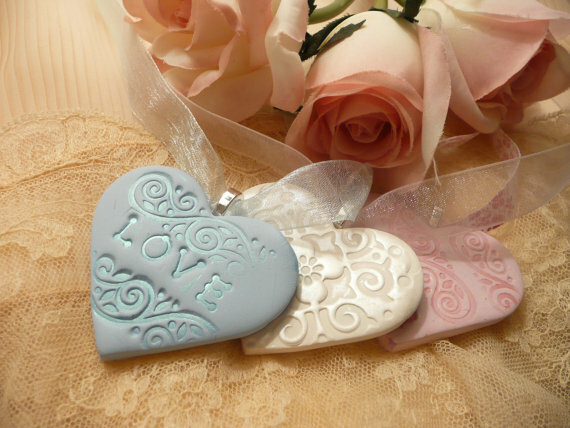 We love this in pink and ivory but custom colors are also available to suit your individual style. By Antiquity Bridal.